The build-up to going on press is much like the time spent preparing surfaces etc for painting and decorating. After thoroughly checking and re checking resolution, bleed, pagination etc on the electronic proofs from the printers, the magazine was finally ready to go into production. Once on press it is literally the point of no return. It always important to see any print job on press but even more so when it is a launch edition. It's the closest thing, for a designer, to the sensation of being present at a birth. 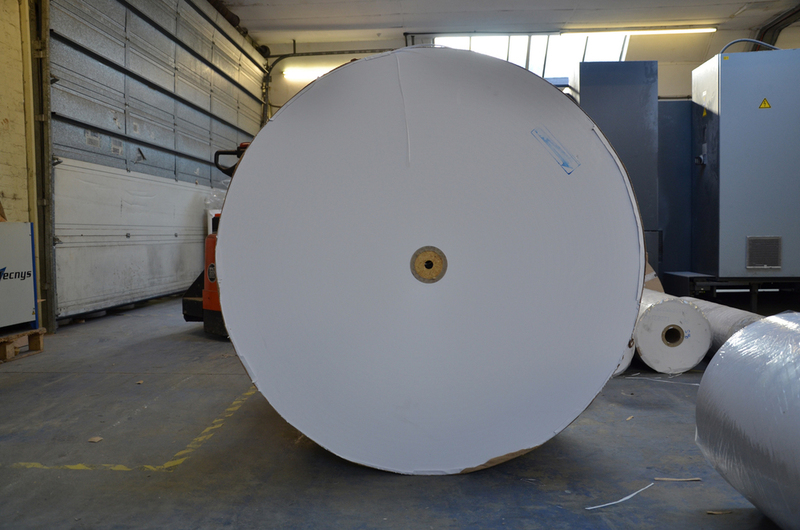 There is always going to be a bit of waiting around while presses are made ready, ink levels adjusted etc.but once the presses start rolling an 8 or 16 page section can be completed in a matter of minutes. It's a lot like that moment before the start of ride. The excitement of seeing something you've been looking at for the last few months on screen now appearing on large sheets of high quality paper in full colour cannot be bettered. Seeing and hearing a vast line of print presses in full production mode for Simpson Magazine was like the sensation of dropping smoothly down the gears as you accelerate away from your rivals. Although the presses were state-of-the-art they still needed to be managed by experienced technicians. These guys knew their stuff and helped get the magazine looking amazing. The birth of the magazine was complete when we took stock of the finished job. It's now time to look at issue two!